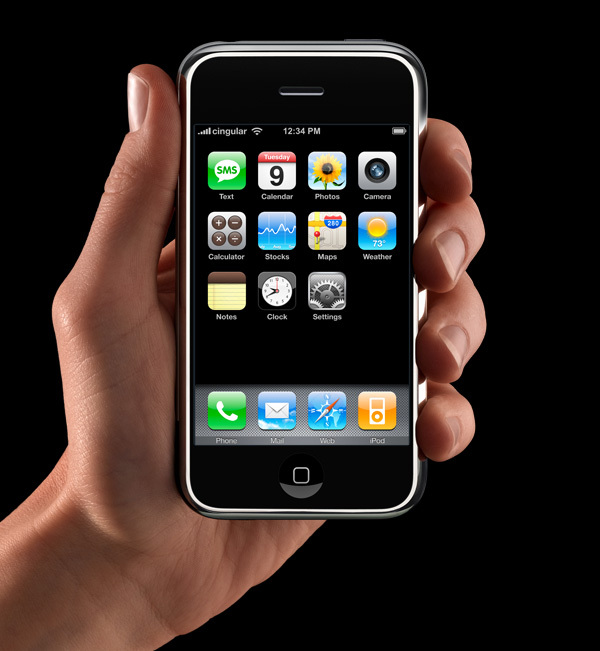 Just a quick note to comment on the biggest hype in the mobile industry these past few days – the Apple iPhone, combining internet telephony with the usual iPod stuff, adding internet communication for good measure. At first glance, it’s a nifty thing. Just the stuff we’ve come to expect from Apple, still frontrunners when it comes to slick and stylish gadgets, with a potential for multi-million-dollar sales. At second glance, it’s still nifty. There is, however, the question of the pricing. The cheaper model retails at about 420 €, which is a helluva lot of cash to splash out on something that most people have – a phone, an mp3-player and an Internetconnection. Only thing is that this time these are all bunched together in this little piece. My two cents? It’ll sell. But it won’t sell the 10 million units by 2008 that Apple are hoping for. With internet telephony on rapid rise, there will be an abundance of competitors – and probably cheaper competitors at that. Best of luck to Apple, though, You still make the best-looking gadgets on the market. As a side note – anyone but me getting a little bit worried about consumer hysteria? We had a brief discussion about this at work the other day – I mean, people are throwing out perfectly good tv-sets, because they need / want / got to have a 42″ LCD tv instead. About 100,000,000,000 VCR-players are getting tucked into the wastebin so as to make way for the DVD-player, which in turn is getting ditched for the HD-DVD-player. Now iPhones, so we can get rid of our ancient, two year old iPods and mp3-players, as well as our mobile phones and all other unnecessary stuff. My point is – it’s all well and good that the market is going forward. But without a backwards glance now and again, we risk leaving a trail of waste behind us that’ll take generations to clean up.